My debut novel, and just the most delightful, fun, warm, joyful and poignant thing I have ever written. You can read more about the process I went through writing it here, and why I set it in summer here. Described by my first reviewer as 'dripping with love' this book has also had readers 'gripped to the very end'. If you like adorable and authentic characters, hazy summers in English country gardens, teenage dreams, second chances and a hefty dose of giggles, this book is for you. An uplifting romantic comedy from a new voice in women's fiction! Perfect for fans of Trisha Ashley, Debbie Johnson, Jenny Colgan and Holly Martin. My first true paper love-child, The Girl's Guide to Life on Two Wheels is a fun, friendly and accessible guide to cycling for women. Featuring all my considerable wisdom and input from cycling legends including Victoria Pendleton, Dame Sarah Storey, Dani King, Lizzie Armitstead and many more, it's as beautiful as it is practical. And it's got an average five-star review to boot. Cycling is a fun, healthy and inherently stylish hobby and form of transport with a long and rich history of empowering women. It has never been more fashionable and more accessible to just about everybody. 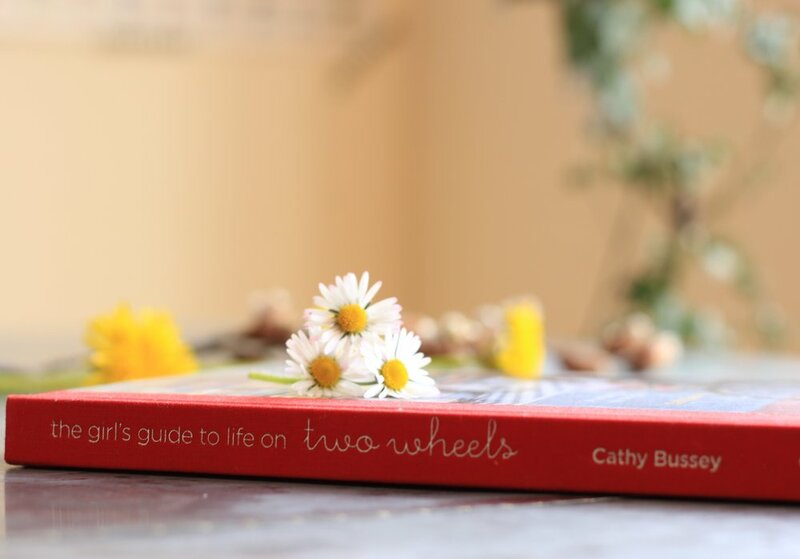 Full of fun and inspiration, with gorgeous photography and quirky illustrations throughout, The Girl's Guide to Life on Two Wheels is a practical and stylish guide to help you find the confidence and motivation to embrace cycling as part of your daily life. From choosing a bike and staying safe on the roads to looking great on two wheels and embracing the unique style cycling offers, Cathy will arm you with everything you need to get on your bike. Whether you used to cycle as a kid or have never been on a bike in your life, no matter what age you are, where you live or how fit and active you are - if you've ever thought you'd love to cycle but 'can't', this book will show you that you can, and you can do it in style. We all dream about winning the Lottery but have you ever thought about what happens next? Journalist Cathy Bussey guides you through the process from claiming, investing and spending your winnings to avoiding the pitfalls, including lost tickets and coping with your sudden popularity! She explains how syndicate members can protect themselves, the importance of writing a will, whether to quit your job and the pros and cons of going public. Cathy reveals how to ensure a lottery win will only change your life for the better – if you even want it to change at all. Full of stories of winners – the highs and the lows – and a handy listing of exactly what you can do with winnings from £250,000 to an eye- watering £300 million, this fact-filled book can save you a fortune – and show you just how to spend it! Written by the features editor of the leading UK weekly for PR professionals, PRWeek, and featuring contributions from journalists, PR professionals and small business owners, this book shows you how to successfully use PR to promote yourself and your business. Covering every aspect of public relations, from identifying your compelling proposition, pitching a story and writing a press release, through to mastering social media and executing a good campaign, it is packed full of insider stories, sample press releases and examples of good PR, so you’ll find out how to make a winning impact.